Our Master, Ustad Saheb Behramshah Nowroji Shroff explained that the Sudreh and Kusti are not mere symbols, but they are what is known in technical terms as Alat – spiritual instruments which hasten our onward progress towards salvation. 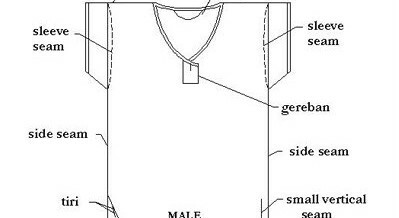 Even though the Sudreh may seem to be a plain white cotton shirt, with a few odd markings here and there, it is not. The manner in which a Sudreh is made follows a divine science, which exalts its physical status to that of a divine instrument. What do we mean by this? How can putting a half circle here or a seam there make a piece of cloth into something more? Take the example of a simple piece of paper. Can it fly? No, not really. If you drop it from a height, it will fall in any random way. 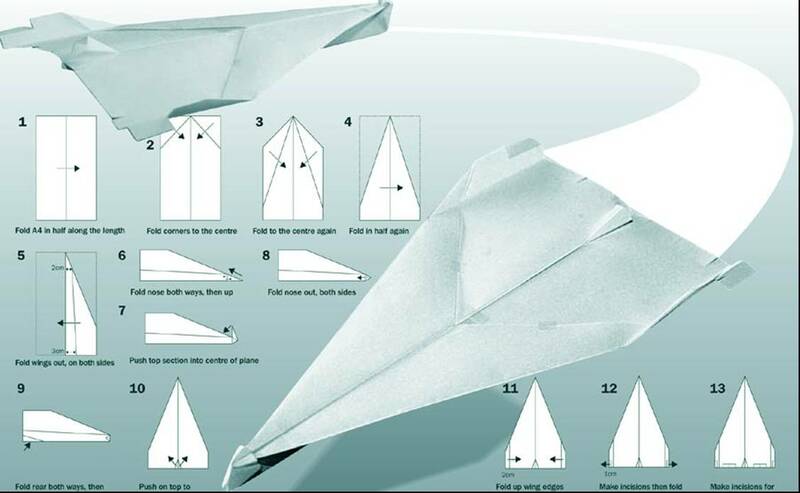 But now take the piece of paper and ask a child to fold it expertly to make it into a paper rocket. When the rocket is thrown into the air, it flies, because its shape has been changed and it has become aerodynamic. In much the same manner, but of course at a much higher and spiritually uplifting level, when a Parsi sits down to stitch the Sudreh as per the proper Tarikat – covering her head, performing the Kusti, taking the Baj of Sarosh, passing certain Mithra in her mind as she sews the nine seams, a humble cotton shirt becomes infused with divine energy. Its special seams and cuts create it into a receptacle which attracts the divine blessings which are showered down on the earth constantly by the Yazatas and Amesha Spentas. It is therefore so simple to understand that a sacred Alat like the Sudreh can NEVER be stitched by a non-Parsi. Unfortunately today, most Parsi shops selling ready-made Sudreh have outsourced this task to non-Parsi tailors. They argue that Parsi ladies are unavailable to stitch the Sudreh or that the non-Parsis are more economical or that even other articles like Dagli, Jama, Lengha etc. are being stitched by non-Parsis so then what is the problem with having Sudreh stitched by them? The answer is that Dagli, Jama and other such articles of clothing – although typically Parsi by nature, are not Alat, only Sudreh and Kusti are Alat. Thus the first thing to remember even before putting on the Sudreh is to ensure that it is made by a Parsi. All Parsi colonies have ladies who stitch Sudreh. Many such ladies are old widows or ladies of limited means, for whom the income from stitching the Sudreh is an important, if not the only component of their meagre earnings. It is the duty of every Parsi to encourage such ladies and pay them over and above their fees, which are pitiably low in any case. Unfortunately Parsis don’t have any qualms about buying Rs. 2000 jeans or paying a tailor hundreds of rupees to stitch a dress or shirt, but will be offended when a poor Parsi lady asks for Rs. 30 or 40 to stitch a Sudreh. Be made of white cotton. Fancy nets, non-cotton material are not correct. Its length must optimally be upto the knees. If this is inconvenient for everyday use, you can have special Sudreh to use during prayer sessions or while visiting Agiaries and Atash Behrams. The other Sudreh for daily use should be upto the thigh in length and in any case, be long enough to at least cover the pubic area. This condition is applicable to both ladies as well as gents. The bottom of the Sudreh should be completely circular – that is, slimming cuts at the side or shaping is not allowed. The bottom of the Sudreh should be completely rim sewn, after making the other seams described below. The front side and the rear sides of the Sudreh make up the seventh and eighth seams. The completely rim sewn bottom comprises the ninth seam. Readers of Frashogard need to be honest with themselves and consider the above instructions and compare them to the Sudreh which they are wearing. How close are we to following these directions and in some cases, what a mockery have we made of this greatest of all gifts of Prophet Zarathushtra? If our job, fashion trends or sense of shame does not let us wear the correct Sudreh in day to day life, can we not have a few correct Tarikat-made Sudreh for use when we visit Agiaries and Atash Behrams, or which we can set aside for our prayer times? Just as we have separate clothes for formal wear, party wear and office wear, why can we not have a separate set of clothes called ‘prayer wear’? So how does one put on the Sudreh and what are the righteous thoughts (Mithra) to pass when we do so? Each of the seams described above has a deep, meditative thought attached. We can write a separate post for each of the 9 seams. But I will keep it very short and give a really condensed version so that the thoughts can be captured and replayed in the mind every morning. At first it may be difficult, but over a period of times, the thoughts will just automatically flow in your mind as the Sudreh is worn. 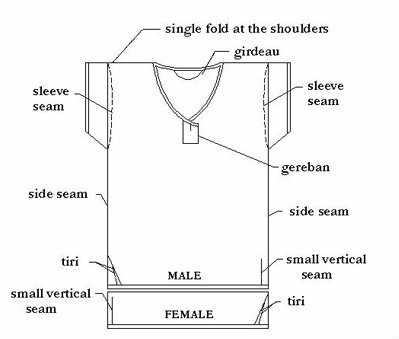 As we pull the Sudreh down, our eyes come into contact with the triangular seam on the right (for men, left for ladies). The Mithra to pass is: ‘May I listen to the bite of my conscience and thereby arouse my consciousness! Only then will I achieve purity of the heart and in life! The following small table will summarize these Mithra even further and can be downloaded as a pdf file to print and practice. 1. Girdo May I joyfully bear the burdens of my past actions by living a good Zoroastrian life! 2. Gireban May I attract the Divine Blessings (Asere Roshni) into my spiritual bodies and make my Khoreh radiant! 3. & 4. Left & right sleeve May the battle within me, between evil (Asere Tariki) and good always end with the victory of good over evil! 5. & 6. Front and rear sides May I live my life on this earth in an ideal Zoroastrian manner so that I quickly progress through the next world and earn my redemption! 7. Triangular seam May I listen to the bite of my conscience and thereby arouse my consciousness! Only then will I achieve purity – of the heart and in life! 8. Parallel seam May I achieve Spiritual Oneness, with my scattered Ruvan fragments and the ultimate destined Spiritual Spouse! 9. Rim sewn bottom O Ahura Mazda! Thy Will be Done! May my life be full of contentment and Spiritual Joy! Please click the icon below to download the Mithra of the Sudreh in PDF format. Today is a very special day. Not only is it the Kadmi Khordad Sal, but it is also the 50th Baj and death anniversary of our beloved Dr. Saheb Framroze S. Chiniwalla, the giant colossus of Khshnoom. Even though Dr. Saheb passed away in 1962 – 8 years before this writer was born, yet every now and then, while reading through his works, I come across a sentence or a phrase or a paragraph which seems to have been written to precisely answer the question which has been in my mind for many days. In that sense, he is our teacher and Ustad, our guiding light and our never-ending reservoir of Khshnoom knowledge. After 25 years of reading Khshnoom written by the beloved Doctor Saheb, I can safely say that this life will not be enough to even skim the surface of what he has left for us. Today every bit of the very little I have written has been possible only because of the vast literature which Doctor Saheb left behind. I have been a mere thief – reading, studying and copying from his great source. To have been given the opportunity to do so is, perhaps, the greatest gift in my life. On his Baj day, all readers of Frashogard will join me in reciting one Ashem Vohu in his memory and wishing for the onward and speedy progress of his Ruvan. From wherever it may be in this great Cosmos, may it continue to guide, protect and encourage our feeble efforts! Thank you for such beautiful articles, and you are so right about Dr.Saheb. I do respect him and his work and have his picture in my Prayer book. 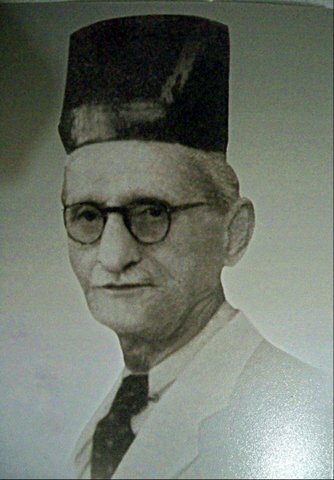 I had printed Dr.Saheb’s picture from one of your earlier article on his life. Thanks to you too as you have also taught me a lot through his teachings. I respect YOU as my teacher because reading your articles and trying my best to follow the teachings have changed the understanding of my life on this earth. I am very grateful to you for all the knowledge you impart selflessly. May Ahura Mazda bless you and your family.